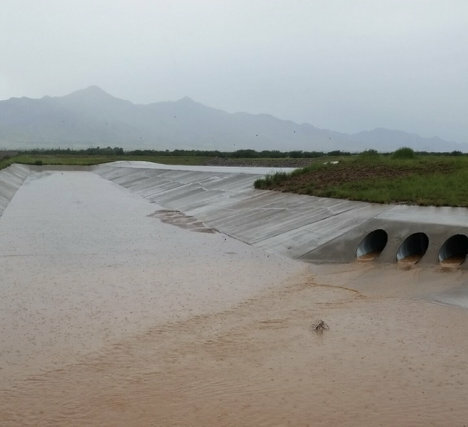 The Palominas Stormwater Recharge and Flood Control Project is located on both sides of Palominas Road, just north of the Highway 92 intersection, on the west side of the San Pedro River, and is managed and owned by Cochise County. 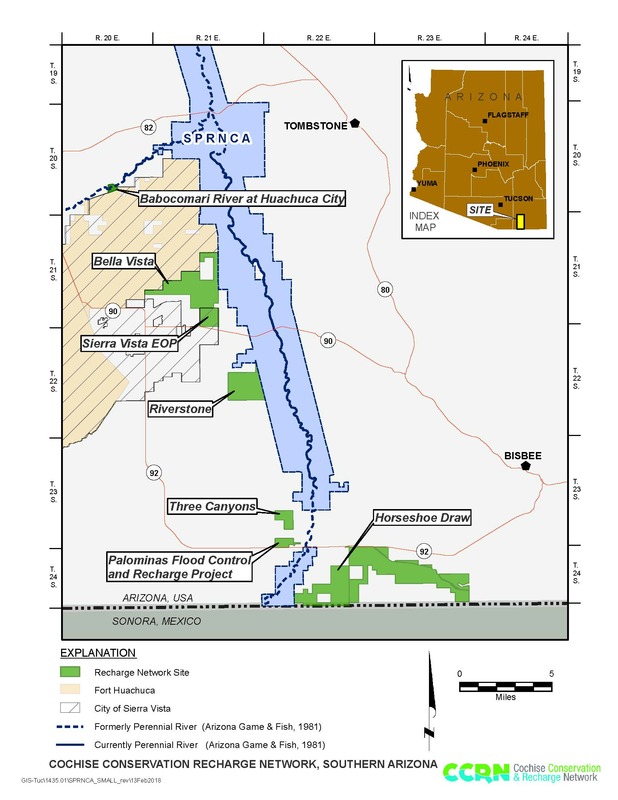 A conservation easement is held by The Nature Conservancy on the 285-acre parcel (west side of Palominas Road) and conserves an estimated 24 acre-feet/year of groundwater that will not be pumped due to precluded development. 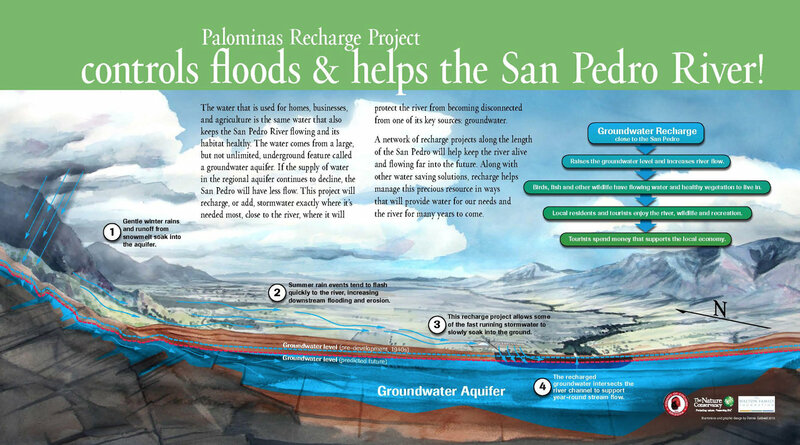 The facility is designed to recharge up to 98 acre-feet/year via its large detention basin and 13 recharge cells, yet the actual volume of recharge is dependent on the amount of rainfall each year. Project studies and planning were conducted in 2012-2013, with design and construction completed in 2014. Project operation also began in 2014. Groundwater monitoring began in 2013 and surface water monitoring began immediately after project construction and is ongoing. Small but important, the project is primarily a laboratory to test and monitor the best ways to get the most water into the ground. Through frequent monitoring, Cochise County, in partnership with the U.S. Department of Agriculture Agricultural Research Service, is gathering information about the volume and rate of water recharged (absorbed deep into the ground) through the recharge facility. 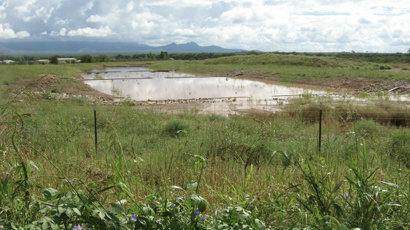 The project is also designed to reduce water loss to evaporation and prevent mosquito-attracting pooled water. 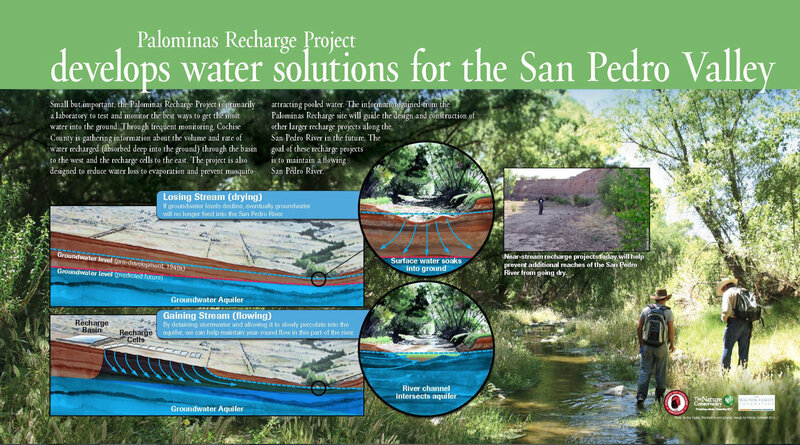 The information gained from the Palominas Recharge site is guiding the design and construction of other larger recharge projects along the San Pedro River to meet the goal of maintaining a flowing San Pedro River.